Having a rifle scope is important if you want to shoot accurately all the time. There are different types of rifle scope available with varying features and prices. Do you want to get the best rifle scope under 400? Selecting the ideal rifle scope under 400 should not be a tough task because I will help you pick the right one. 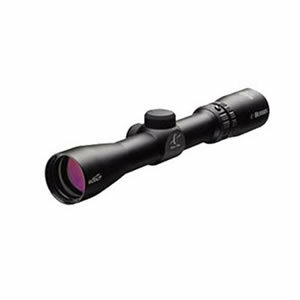 Spending 400 bucks on a rifle scope will enable you to get a high-quality scope that performs well and meets your hunting and shooting needs. The following reviews cover excellent rifle scopes under 400 bucks from top manufacturers. I selected scopes with a good magnification and support medium to long range. They also have a better visibility and quality optics among many amazing features. N.B: Price in between $400! Nikon PROSTAFF 5 BCD Riflescope is one of the best rifle scopes that can handle even the most demanding hunting tasks. The scope is designed with fully multicoated optics that provide a maximum transmission of light. You can always see clear and bright images when you are viewing through this scope. It is designed with Nikon's patented BDC reticle with see-through ballistic circles that make it perfect for long range shooting. The scope also features spring-loaded instant zero-reset turrets that make adjustments easy. 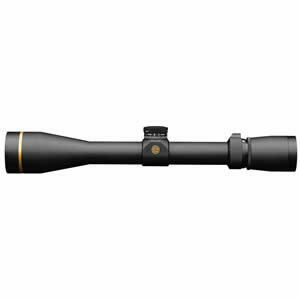 This scope provides you with an adjustable magnification from 4.5x to 18x which suits long range shooting. You will also enjoy a generous and consistent eye relief and a clear field of view even when you are wearing glasses. Another amazing feature of the scope is a quick focus eyepiece that helps you get the reticle in to focus instantly. Having a rifle scope can make a big difference when it comes to shooting your targets accurately. If you are looking for a quality rifle scope at an affordable price, try the Leupold VX-3i 3.5-10x40mm and you will love its performance. This scope helps you to target faster so that you can shoot accurately. The best thing that I love about this rifle scope is its long and generous eye relief. Even when using it at high powers, you will still get a perfect head position latitude. It has a magnification of 3.4-10x and a zoom ratio of 3: 1 to offer you with a maximum versatility. It brags of a twilight max light management system to provide you with high contrast images. The lens has a coating that maximizes light transmission in red and blue. It balances the colors to give you the highest contrast possible. It also features some special mechanical structures to deal with glare. For those hunters and shooters who want simple and easy acquisition of target, this is a perfect scope to mount on your rifle. It has a duplex reticle and thicker peripheral lines that don't get lost even when using the scope on a bright background. Additionally, thinner crosshairs provide a high precision. If you are looking for a rifle scope for medium range shooting, Vortex Optics rifle scope works well. This is a quality scope where speed and target acquisition are your major concerns. The scope is designed with fully multicoated lenses that feature anti-reflective coating to provide you with better views even under low light situations. It is designed with a selectable red and green illuminated reticle with 5 intensity levels to blend well with any condition. The reticle is placed directly on the prism so that you can aim well regardless of the illumination. This is a quality scope with a shockproof construction. It can withstand recoil from your rifle and its o-ring seals together with the nitrogen purging give you a waterproof and fog proof performance. The scope offers you with a magnification of 3x and a comfortable eye relief of 2.8 inches. You will also enjoy a field of view of 31.5 feet/100 yards. Are you looking forward to increasing your accuracy when shooting at long distance? Then you need to mount a scope on your rifle. 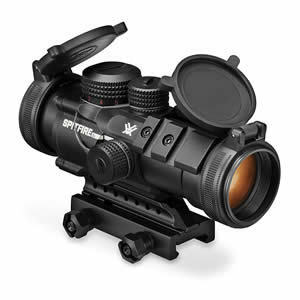 The Vortex Optics is a reliable and high-performance scope that will help you take your shooting to a greater height. With a magnification of 6-24x, you can be sure to see your images without any distortion. It is designed with a larger 50mm objective lens that allows more light transmission to provide you with crystal clear images. The scope is also designed with fully multicoated lenses that ensure you get clear images. Additionally, you will love its fast focus eye relief as well as a long eye relief of 4 inches. 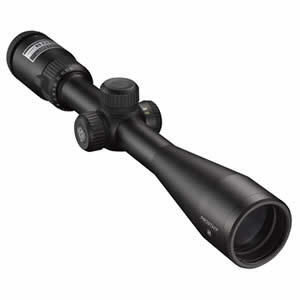 If you need a scope that will last for many years, this model features a premium construction. It has an aircraft grade aluminum tube that is nitrogen purged. It also has o-rings to give you a fog proof and waterproof performance. Mounting a scope on your rifle provides you with so many benefits. Not only do you get a longer range, top-notch scoreboards but also higher accuracy. A scope is, therefore, a necessary equipment for hunting enthusiast who wants to increase their accuracy. 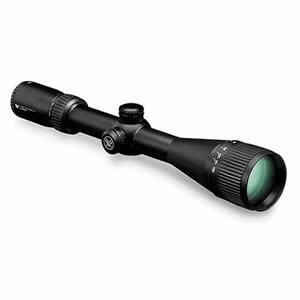 Burris 200261 is a quality rifle scope that is designed to meet your shooting requirements. This is a durable rifle scope that is water, shock and fog proof. With this scope, you can achieve a fast target acquisition even when your eyes are open. The scope is designed with multicoated lenses that provide bright and clear images when you are aiming at your target under any condition. As compared to other scopes, this model features larger lenses to provide effective light transmission. The scope has passed many recoil tests meaning that it can withstand even the highest recoil from your rifle. This scope is also compact and lightweight so you will not have problems carrying it. Selecting the right rifle scope depends on your shooting needs and personal preference. There are many rifle scopes from different manufacturers which makes it tough to know the right one. I have highlighted some tips that will help you select an affordable rifle scope under 400. The power of a rifle scope refers to the magnification. Rifle scopes come with different magnification to suit the shooting needs of hunters. The type of magnification power you choose highly depends on the type of hunting you engage in. for instance, if you hunt in close cover, you can either choose a fixed power rifle scope of a scope with a variable magnification of up to 3.5x. Alternatively, if you engage in long-range shooting, a scope with a high magnification of up to 20x can be better. Light transfer is an important consideration to think about when you are buying a rifle scope especially if you are shooting in low light conditions. The more the lenses in your rifle scope, the less light transfer you will get. Look for a scope with a larger objective lens so that you can get an increased light transfer. This helps you achieve clear images without distortion. The field of view refers to the width of the area in feet that you can see in 100 yards. A rifle scope that provides you with a wider field of view makes it easy for you to target. A higher field of view means that you can see a wider area. This is the distance that you can hold the scope comfortably from your eyes and still help you see the image clearly. Look for a rifle scope that provides a generous eye relief so that you can acquire your targets quickly. As a general rule, make sure that you purchase a rifle scope from a reputable manufacturer. 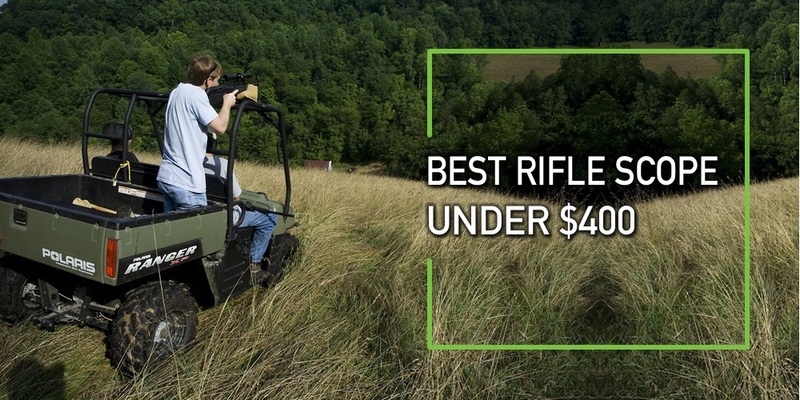 Don't settle for cheap brands that provide low-quality rifle scopes with low specifications. The last thing you want is to invest your money in a rifle scope that will disappoint you. Look for reputable brands like Nikon, Leupold, Vortex, and Burris just to mention a few. If you are a shooter or hunter, having a rifle scope will help you shoot accurately. Rifle scopes give you the chance to zoom on your target so that you can see exactly where you want to shoot. The best thing is that you don't have to spend thousands of bucks to get a quality rifle scope. With a budget of less than 400 bucks, you can enjoy an incredible performance from any of the above-reviewed rifle scopes. I selected quality rifle scopes parked with amazing features and benefits to meet your shooting requirements. Best Rifle Scope Under 300 Dollars – Recommend From Experts! Best Rifle Scope Under 200 Dollars – Top 5 Models Reviewed!